For any of you well versed in the concerns of downtown merchants, parking availability often looms large. It is rare that we do a downtown analysis where merchants don’t complain about parking. Over the years, many downtown communities have turned to structured parking as a solution to these real or perceived parking woes. Sometimes it has worked. Many times, it hasn’t. We are here to say please think twice before deploying this solution because structures are expensive, difficult to maintain adequately, and are not the panacea that merchants and others think they might be. Most of these structured lots were developed over the past two decades as a well-intentioned response to competition from malls and shopping centers, with their seemingly endless oceans of free parking. Now that we have had some time to see whether some of these structured lots have had the desired impact, the analysis lays bare the challenges associated with developing, managing and maintaining these structures so that they remain an amenity, not a disincentive, to downtown shopping. Here are a few common pitfalls. Did you know that infrequent downtown visitors are 30-50% more likely than frequent visitors to feel insecure when using downtown parking structures? The graffiti in this lot does not make users comfortable in this environment. In our work we have surveyed residents in communities with downtown structured parking and have found stark difference in how downtown parking structure are perceived by those who shop downtown versus those who don’t. Two New York suburban downtown communities where we have conducted surveys, one in Westchester County and another in Long Island, offer similar lessons. In both communities, non-shoppers (those who visit downtown less than once a month) were nearly twice as likely as shoppers (those who visit downtown more than once a month) to feel insecure when using downtown parking garages. Also, non-shoppers were about 30-40% more likely to feel insecure when using downtown surface parking lots. As downtown’s struggle to attract and retain new shoppers, we need to understand and overcome the hurdles that keep people from coming downtown in the first place. And the parking garages in these downtown communities aren’t doing us any favors. The other thing to keep in mind is that retailers know about these safety concerns and take them very seriously. In an industry where margins are increasingly affected by on-line shopping alternatives, even the slightest impediment to shopping undermines retail sales and makes it hard for businesses to make a profit. This one is simple. If the lot is not in the right location, don’t do it. And by the “right” location I mean a spot immediately adjacent, or visible, to where the activity is. If that proves impossible, be absolutely sure that the path from parking structure to the “action” is well lit, nicely landscaped and feels safe for people to walk. In this case, it is the female customer that you have to keep in mind. I once had a very short conversation with a drugstore operator who looked at a site plan for a mixed-use affordable housing project with parking in the rear (done, of course, to maintain the street wall). The problem for the operator was that the parking did not provide a direct line of sight from someone’s parked car to the entrance of the drugstore, and two entrances was not an option for the operator given their prototypical layout. The CVS rep said point blank, my female customer wouldn’t feel comfortable in that environment, so I can’t even consider it. large bushes that might raise concerns – especially from a woman walking alone at night. 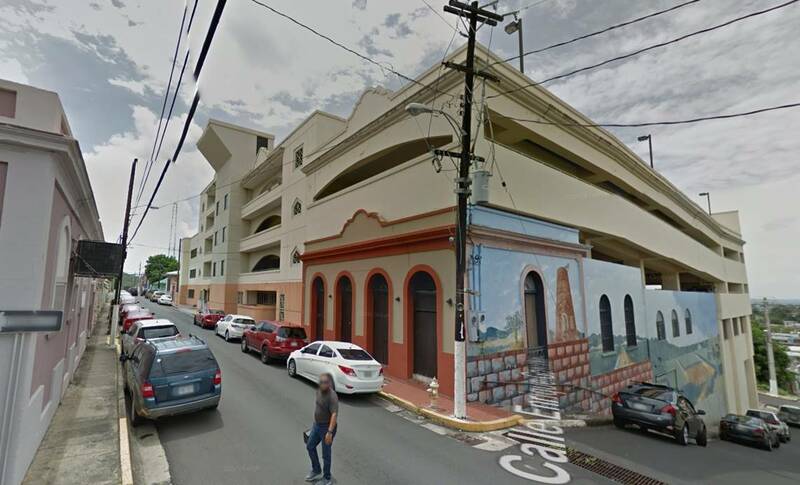 This downtown structure in a small town in Puerto Rico is two long desolate blocks from the main Plaza. Most of the shopping activities occur on the other side of the Plaza, making this location not particularly appealing for shoppers who do not intend to spend alot of time downtown. The two walk block from the Parking Structure to the main Plaza offers pedestrians very little engagement. For those of you who have worked in the public sector, you know the deep dart secret of capital funding. It is much easier to get something built than to maintain it. Maintenance requires an annual budget appropriation. Getting a one time infusion of capital to build something is often a lot easier. Keeping the elevators in these structures running, removing graffiti, making sure payment is simple and not too confusing for the first time user, all requires keeping track of the structure and making regular investments in maintenance and operations. To address this issue, many communities have resorted to creating parking authorities that ensure that the revenue from the parking structure is plowed back into an organization that manages and maintains the structure. Unfortunately, many communities see the line item for maintenance as an easy thing to cut in lean times. While this is mostly anecdotal, the utilization rates of many of garages we have seen is often a lot lower than anticipated. We often see many, many vacant spaces when visiting downtown parking garages. The cost of building these spaces is typically a significant public commitment, so the waste is really palpable. So when does downtown parking make sense? 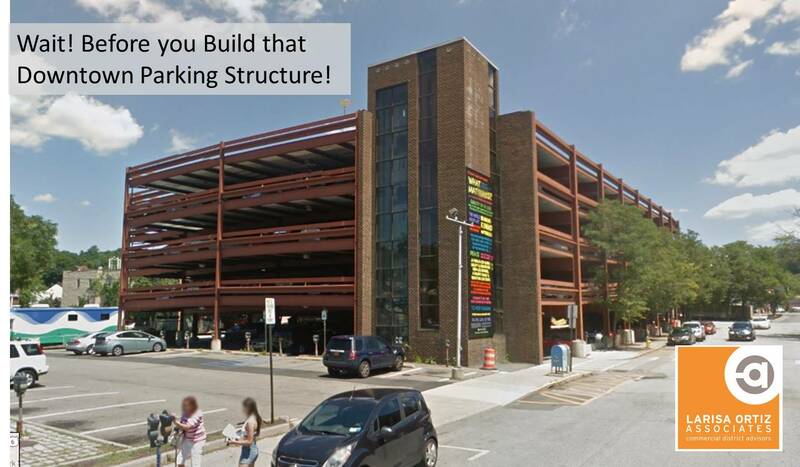 Yet despite all these concerns, sometimes downtown parking structures do make a lot of sense. For example, when you have a downtown anchor, such as a theater that is attracting large numbers of people at the same time, structured parking located in the immediate vicinity of the theater can making the experience much more palpable to the theater goer. New York City’s Theater District heavily depends on structured parking options for the many theater-goers for whom public transportation options are inadequate (not to mention less appealing way to get home for the many who have traveled quite some distance in fancy clothing and high heels). Other alternatives include organizing and rationalizing downtown pocket parking lots. In South Orange, NJ the many small lots in downtown are managed by a parking entity. Moreover, connections to the small lots parking are visible from Main Street and maintained by the downtown BID. 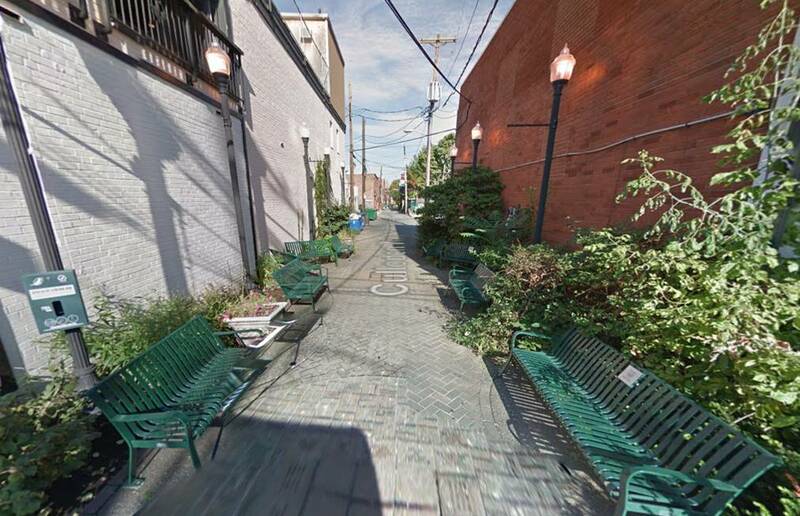 Another good example is Great Barrington, MA, where rear surface parking is comfortable, landscaped and walkable. We’d love to hear more about your downtown solutions. Please share them with us at info@larisaortizassociates.com.